Three endurance races, two sprint series, and a mixture of GTs and prototypes: it was a diverse weekend. The FIA WEC raced at Spa-Francorchamps to warm up for 24 Hours of Le Mans, while the 24H Series was at Zandvoort. Super GT held a mid-week race at Fuji, while the Blancpain GT and Australian GT had races on relatively short tracks: Brands Hatch and Barbagallo. After a very dominant performance during practice and qualifying, the number 1 Porsche 919 Hybrid was the big favourite to win at Spa. But Brendon Hartley, Mark Webber and Timo Bernhard didn’t, and neither did the Toyota of Sébastien Buemi, Anthony Davidson and Kazuki Nakajima, who made their return to the front of the field. Problems were to blame for that, and Lucas di Grassi, Loïc Duval and Oliver Jarvis made the most of it. While the number 7 Audi and both Toyota’s hit trouble too, the number 8 Audi was faultless and had no problems and won the race. 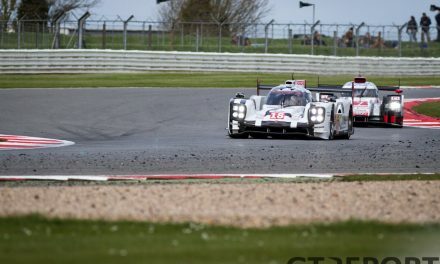 The second Porsche of Romain Dumas, Neel Jani and Marc Lieb took second place, while the Matheo Tuscher, Dominik Krainhamer and Alexandre Imperatori took an impressive third in the number 13 Rebellion. 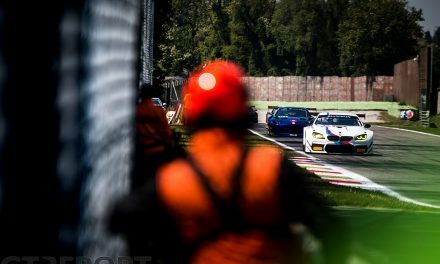 The qualifying race of the Blancpain Sprint Series at Brands Hatch was driven in hot temperatures, but the fight for victory didn’t offer much heat. Jules Szymkowiak and Bernd Schneider drove off to a dominant victory in their number 86 HTP Motorsport Mercedes-AMG GT3. Pole sitters Marlon Stockinger and Franck Perera were second in the number 74 ISR Audi R8 LMS GT3, but were 21 seconds behind the winners. 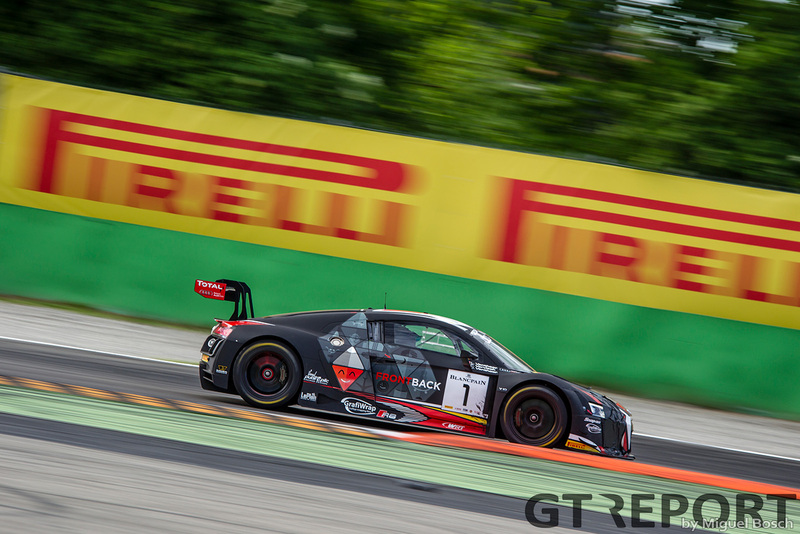 Third place was taken by the number 33 Team WRT Audi of Enzo Ide and Christopher Mies. Bernd Schneider and Jules Szymkowiak had the privilege to start the main race from pole and kept the lead until the pitstops. The crew of the number 33 Team WRT Audi was quicker in pitlane, which handed the lead to Enzo Ide and Christopher Mies. They held on to it despite some pressure from Szymkowiak and the surprising number 8 M-Sport Bentley Continental GT3 of Maxime Soulet and Andy Soucek. The Bentley started from tenth and made an impressive run to finish in third position. Three hours of racing on Friday and another nine on Saturday make up the 12 Hours of Zandvoort. The fight for the podium positions wasn’t close at all, with a difference of four laps between winner and second place, and another four laps to the third finisher. The number 911 Precote Herberth Motorsport Porsche 911 GT3R of Daniel Allemann, Ralf Bohn, Robert Renauer and Alfred Renauer was the only car to finish without any problems and thus winning. 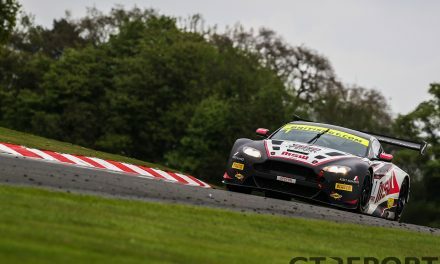 Casper Elgaard, Kristian Poulsen, Nicolai Sylvest and Roland Poulsen finished second in the number 55 Massive Motorsport Aston Martin Vantage GT3, ahead of Michael Kroll, Chantal Kroll, Kenneth Heyer, Christiaan Frankenhout and Lance-David Arnold in the number 10 Hofor-Racing Mercedes-Benz SLS AMG GT3. During the first part of the race, the number one JAMEC PAM Racing Audi R8 LMS GT3 of Marco Bonanomi and Geoff Emery was leading. They gambled for slicks shortly after the safety car came in, but it wasn’t the right choice. Teammate Steve McLaughlan, driving solo in the number 2 Audi, took the lead and won the race. 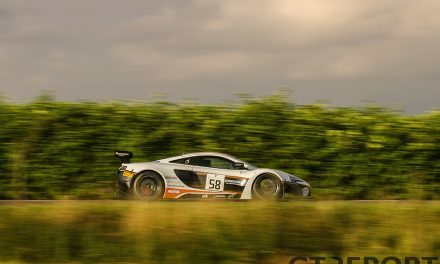 The number 60 Tekno Autosport McLaren 650S GT3 of Nathan Morcom became second after spins ahead of him, while the number 4 Supabarn Supermarkets Audi of James Koundouris and Marcus Marshall spun and fought back to a third position. The second race was a strange one. Geoff Emery crashed hard during the opening lap in his number 1 JAMEC PAM Racing Audi, which led to a safety car and ultimately a suspended race. When the race was restarted, Craig Baird and Scott Taylor were quickest after adding the pitstop times, winning the race in their number 222 Scott Taylor Motorsport Mercedes-AMG GT3. Second place was for the number 61 Tekno McLaren of Nathan Antunes and Elliot Barbour, who crossed the line in fifth but had less time in pitlane. John Martin and Aaron Tebb were third in the number 911 Walkinshaw Porsche 991 GT3R. For almost the whole race, the number 12 Calsonic Impul Nissan GT-R of João Paulo de Oliveira and Hironobu Yasuda was dominant and in control for a victory, but disaster struck them late in the race. A puncture handed the lead to the number 1 Motul Autech Nissan GT-R of Ronnie Quintarelli and Tsugio Matsuda, who crossed the line in first position only three laps later. Second place was taken by Heikki Kovalainen and Kohei Hirate in the number 39 Denso Kobelco Sard Lexus RC F, while James Rossiter and Ryo Hirakawa were third in the number 37 KeePer TOM’S Lexus after starting in ninth.